This project on the coast of Maine was so much fun! The homeowners became good friends through the construction process. 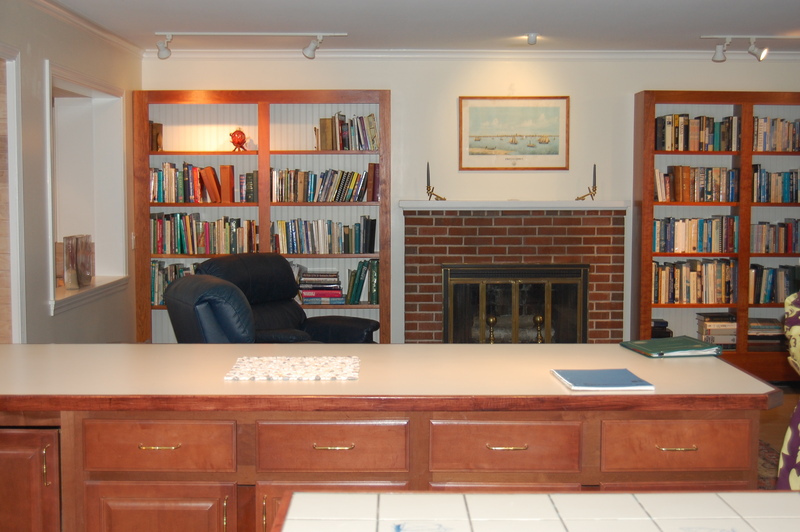 We started with a subpar colonial and finished a superb coastal retreat. 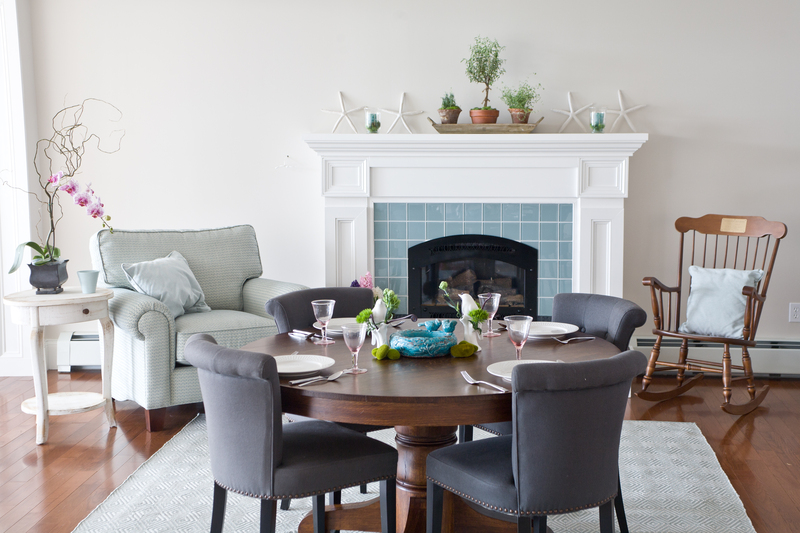 One of the most interesting parts of this project was the fact that these homeowners wanted to be involved in all of the stages of the project, in fact they did the trim and the fireplace! This is one of the before pictures of the kitchen. 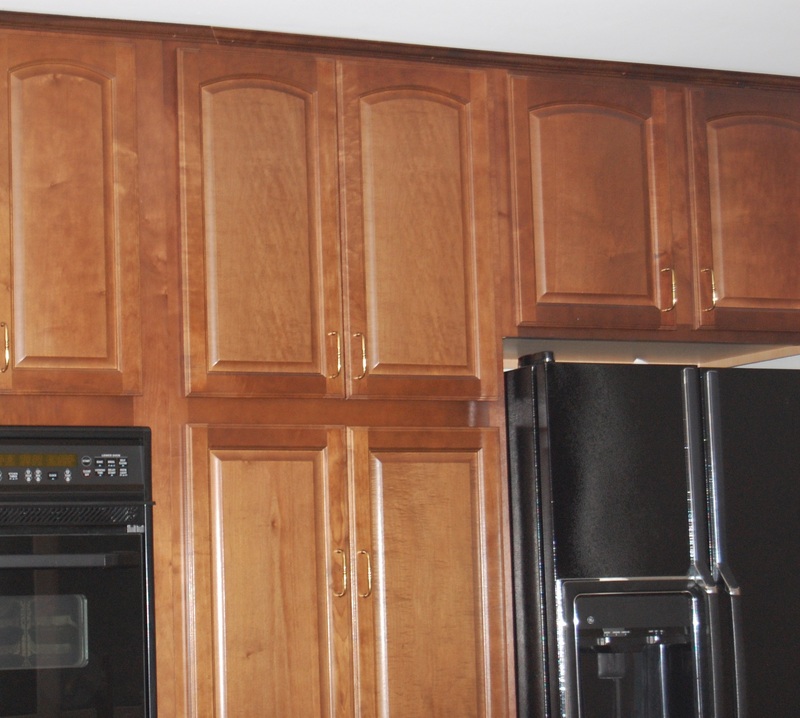 The kitchen was cherry and had black appliances, many home owners would be happy with the before, but thankfully these home owners knew that the house needed to be lightened up. We not only took out the kitchen but we removed walls and set the beams up into the ceiling, the effect was amazing! 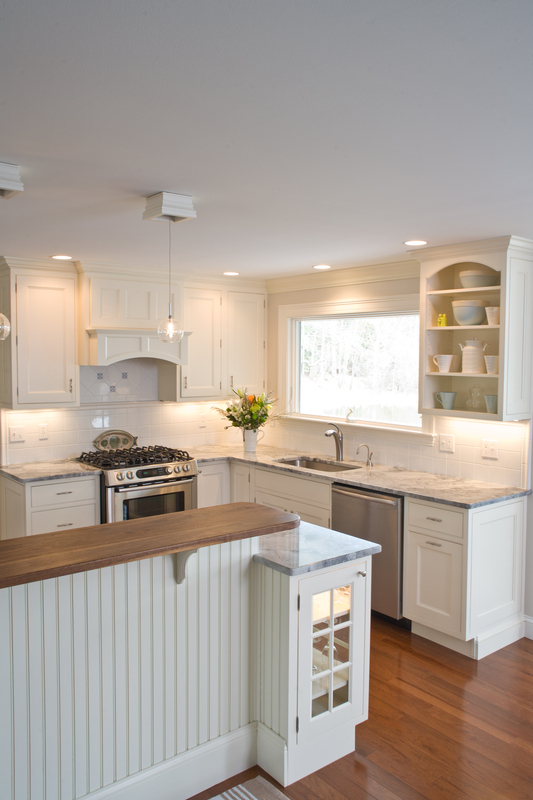 Look at this light and airy after shot of the kitchen! The appliances are all stainless steel, the cabinets are off white and the counters are so unusual, gray and gorgeous. The difference is in the details! 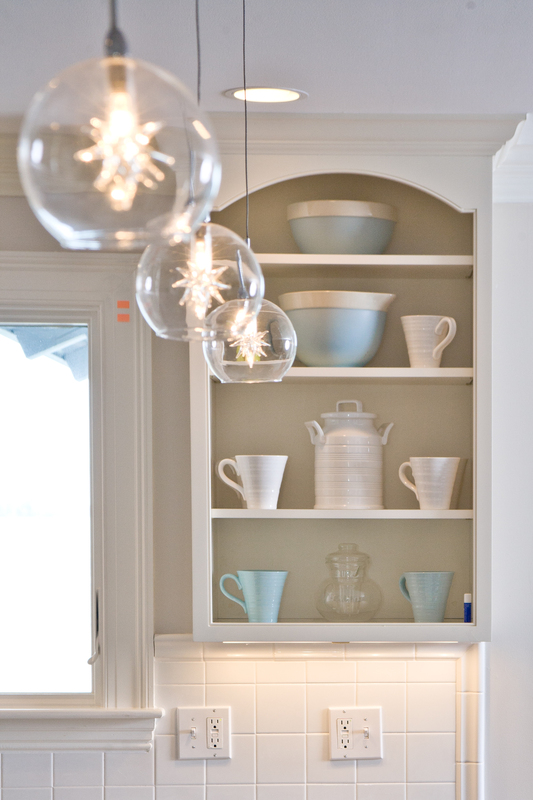 These lights rock, and the homeowner found them…on sale…online! Did I tell you the view is fabulous? You can see the ocean from the stove, sink and fridge who wouldn’t want to cook here? Here is the before shot of the eat-in area of the kitchen. Look at the fireplace…you won’t recognize it. In the next after shot below you see how we continued the light feeling removing the bookcases, and refinishing the fireplace…the homeowner did it himself!!!! Thank you for reading! I am really lucky to have you loyal followers.